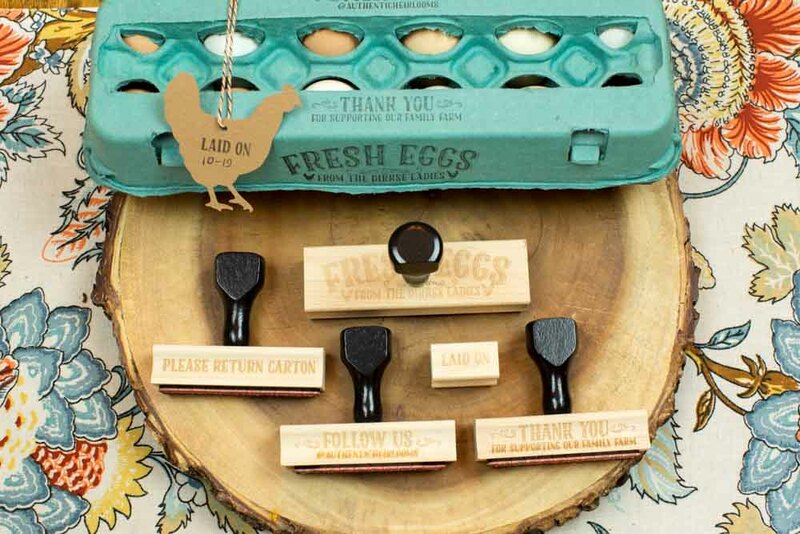 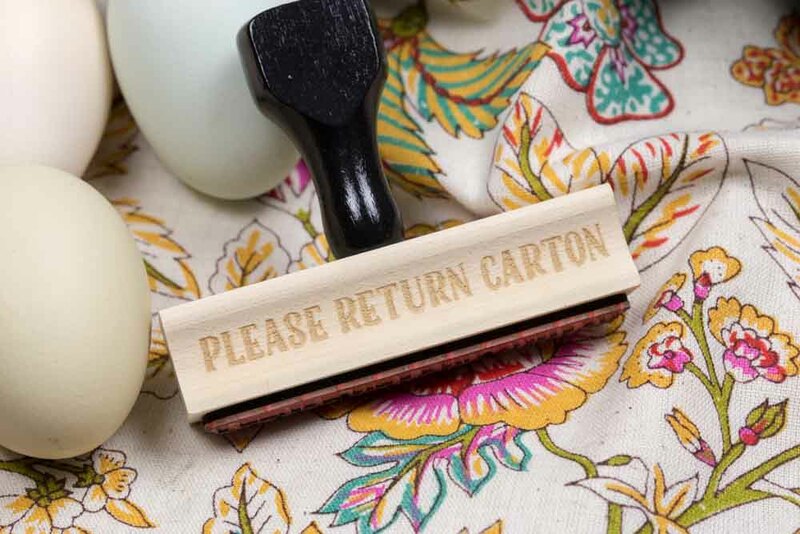 This set of 5 farm branding stamps plus hangtags is a perfect way to customize egg cartons, hangtags, berry baskets, and other products from your farm! 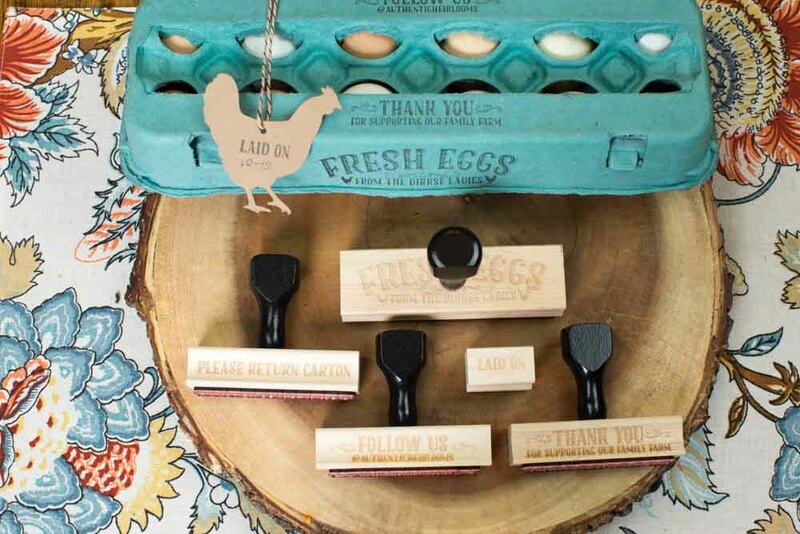 Our Deluxe Egg Carton Stamp & Hangtag Set set gives you a set of 5 farm branding stamps plus hangtags. 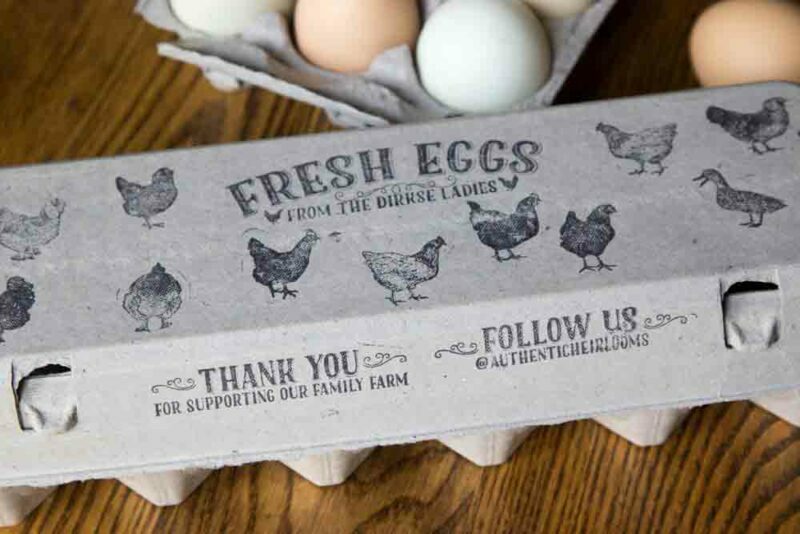 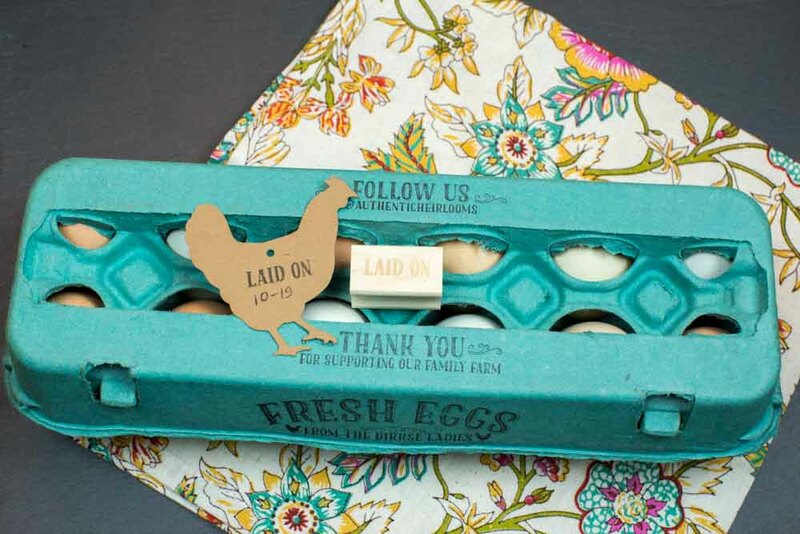 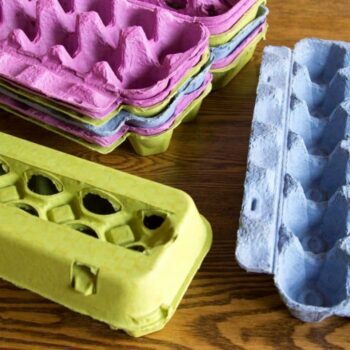 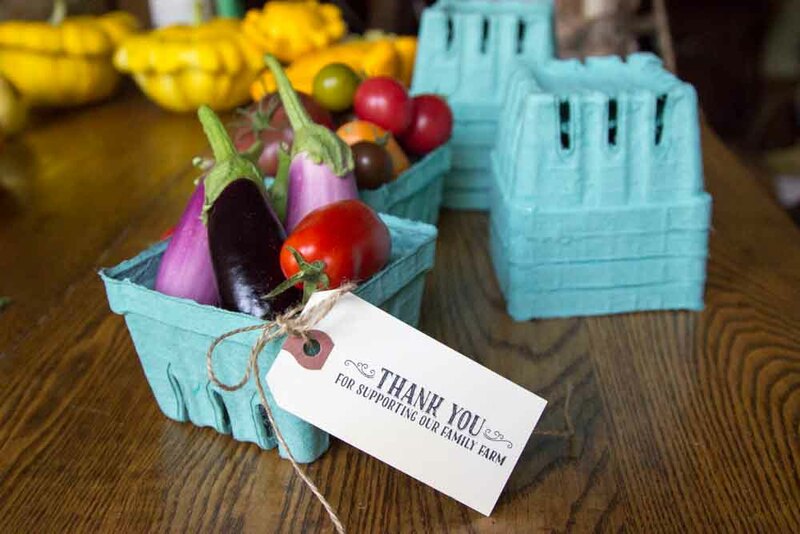 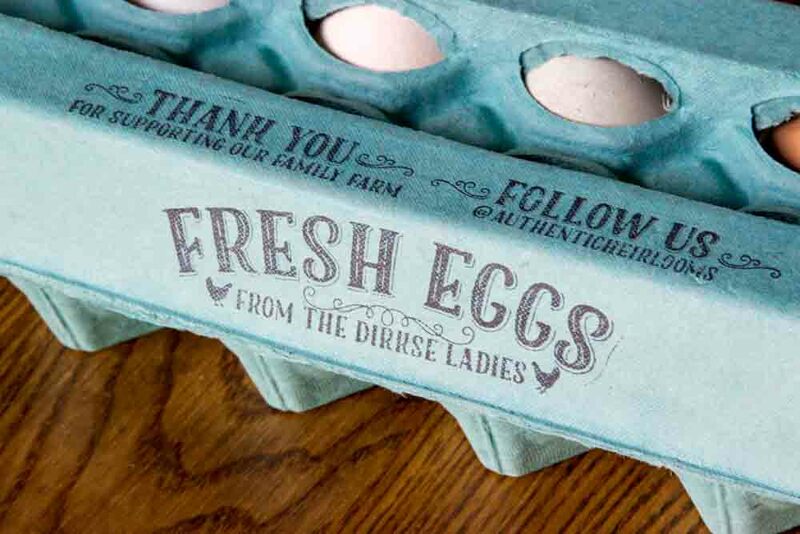 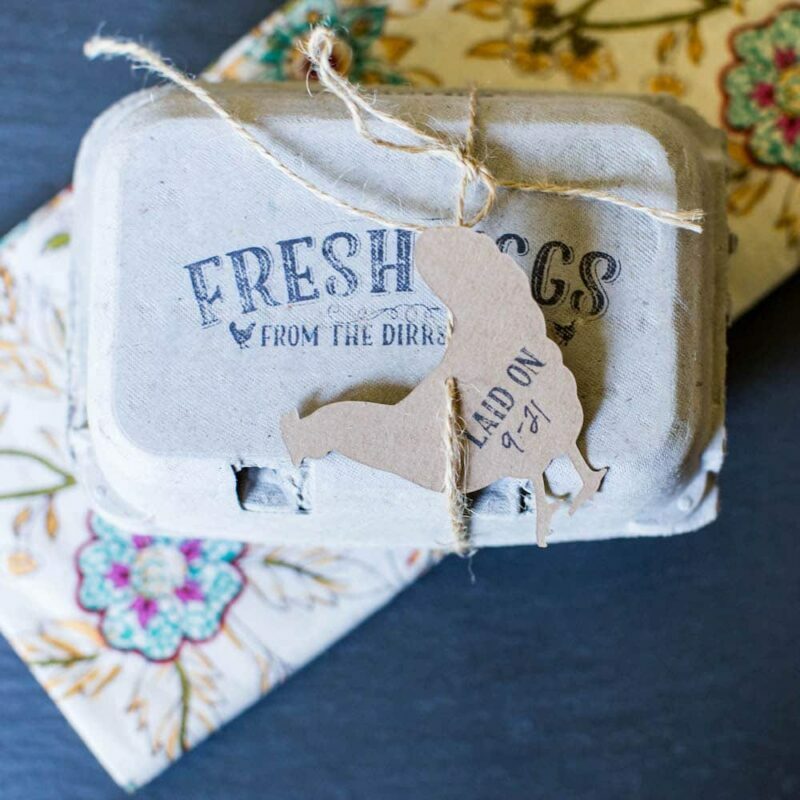 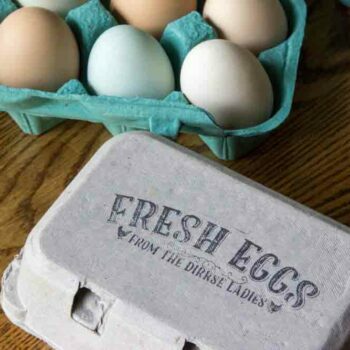 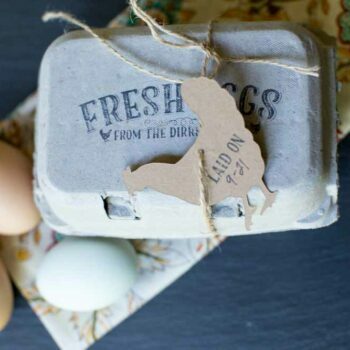 It is a perfect way to customize egg cartons, hangtags, berry baskets, and other products from your farm!